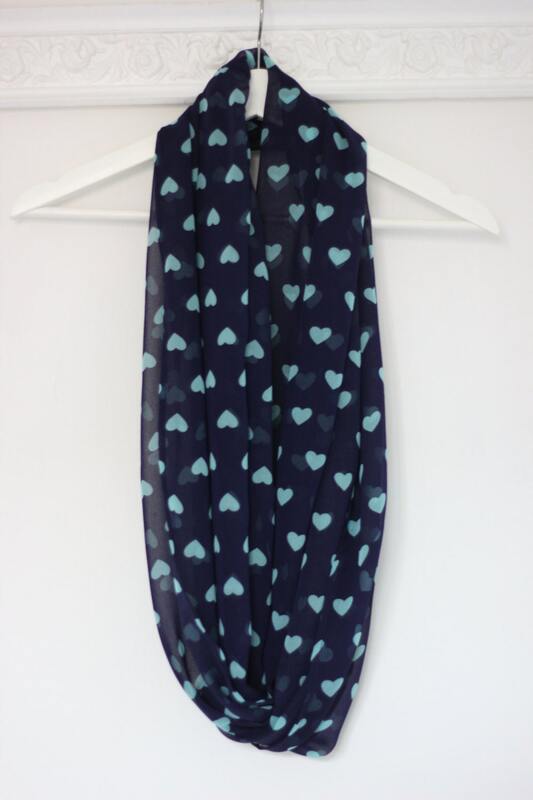 Blue heart printed SPRING INFINITY SCARF for women. 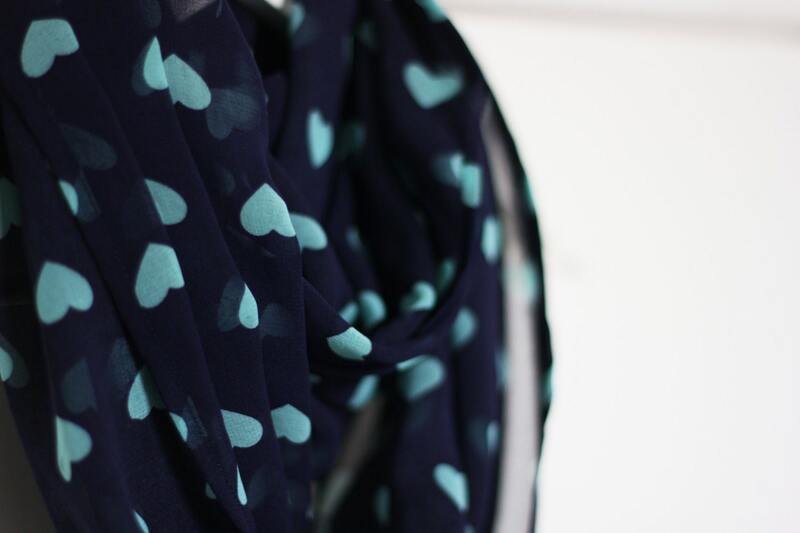 Circle scarf made in a printed chiffon with fine finishes. Totally handmade in Italy. 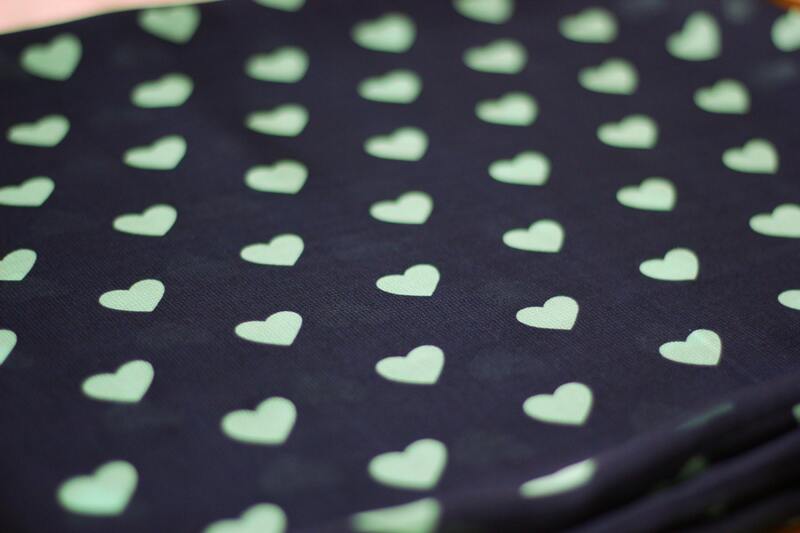 Wear this scarf on your denim jacket for the weekend! 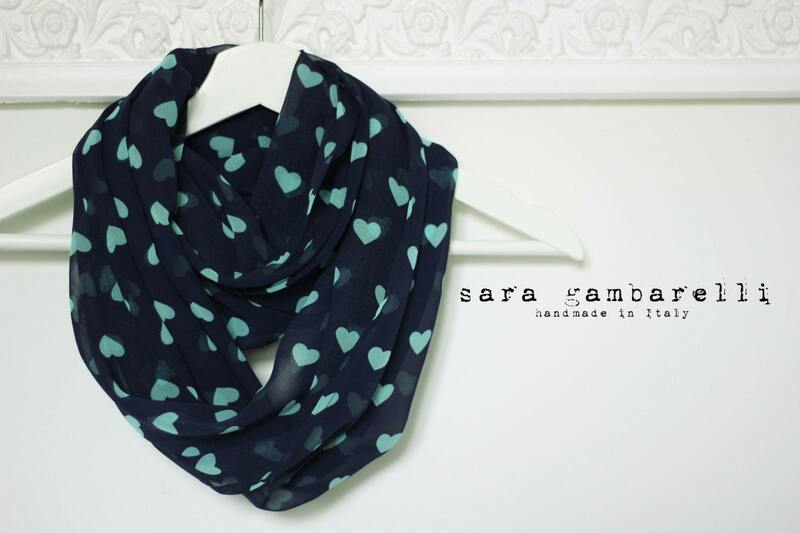 This scarf is really cute! It's sheer and the colors are perfect together.